red rocks of Southern Utah. Once you get back to the resort, you will enjoy a nutritious gourmet lunch, followed by additional fitness classes and a lecture. 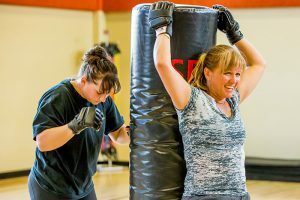 This program is for every one of every age and fitness level and a perfect way to spend the day with friends, a spouse or a family member and, for all the caregivers out there, for a change, have someone take care of you.On that note, so many people are understandably looking for a physical, mental and emotional reset,and that is exactly what the program offers. One day. Every Saturday. Change your life with Mfit. Sign Up For Our Mfit Program Today!